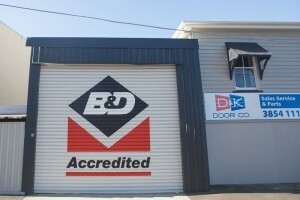 Commercial & Residential Garage Doors in Brisbane | D&K Door Co.
We offer doors and installation for any building type, whether residential, commercial or industrial. We’ll provide a regular service schedule for your B&D garage doors, so you can rest easy knowing an expert B&D repairer is taking care of you. All our products are covered by factory warranty, so if you need any repairs, we will attend to them as quickly as possible. Our service technician has over 30 years of experience with the B&D brand. Our policy is to fix it right the first time, but just in case, we also carry a 90 day warranty on our repairs. Our service vehicle carries all the spare parts needed for common repairs, so we can identify and fix the problem on the spot. Our experienced staff are happy to provide you with a free measure and quote and discuss your garage door needs. Why do you need to service your garage door regularly? The garage door is the largest and often the most neglected appliance in any home. 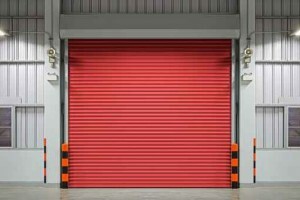 Just like any heavy equipment, even your garage door needs to be checked regularly to ensure its safe operation and longevity. Over its use, the garage door can develop a number of wear and tear issues that need to be looked at by a professional. You must regularly check that your garage door is always running smoothly to ensure that there are no accidents and that the safety of your family is ensured. Why should you call a professional for your residential garage door repairs? Always call a professional to repair and maintain your garage door. There are a lot of small moving parts that make up a garage door. It is a heavy and complex piece of machinery and if not handled professionally can lead to hazardous situations. Even if you are handy around the house, often when people try to do garage door repairs by themselves, they can make the problem even worse. This is why you should always leave the repairs and maintenance of garage doors to professionals like us.